Have fun with words by playing “Word Scramble” from Good Times. Unscramble five words whose letters have been all mixed up. Find the correct answer by shuffling the letters around. There is only one solution! With each winning game, you earn and collect coins that you can use to activate bonus help. You also have access to an online dictionary to look up definitions of new words you discover. 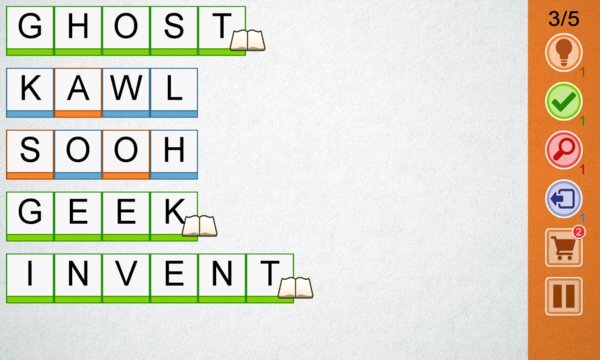 “Word Scramble,” available for your smartphone or tablet, is ideal for relaxing with Good Times.